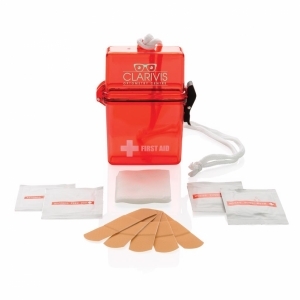 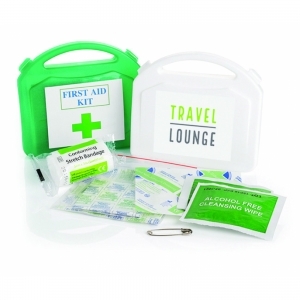 A great little first aid kit ideal for anywhere. 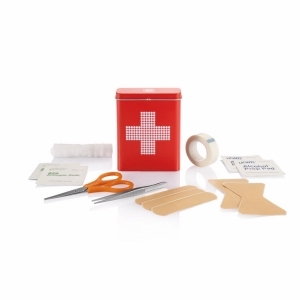 Set includes 10 Assorted plasters 1.5 x 5cm low adherent dressing, 5cm conforming bandage, 2 alcohol free wipes and a pin. 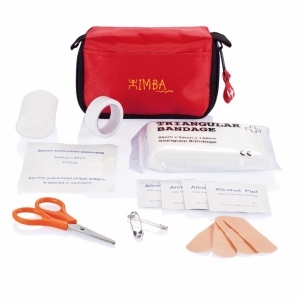 To order an unprinted First Aid Kit, please complete the details below.